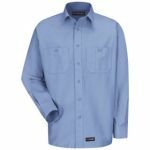 Wrangler Workwear - The James Arnold Co.
Over the past six decades, the Wrangler brand has embodied the spirit of America. Its history running parallel to the rise of the country; worn by the same people who built it – and those who make it what it is today. The ones who recognize the value and virtue of hard work. It’s for those people that Wrangler Workwear was created. 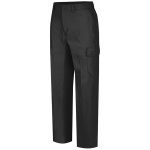 For the work that isn’t confined by office walls or done sitting down. Jobs where lifting, bending, stretching, reaching, and climbing are all in a day’s – sometimes an hour’s – work. 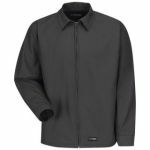 With innovative product features and a great fit, only Wrangler Workwear delivers superior comfort and unlimited motion designed specifically for the needs of the active worker. This is workwear worthy of the Wrangler name.